As we end another year, emerging markets continue to play a vital role in the world of investment. Investors are still experiencing rapid, economic growth for their portfolios from smart investments within these various emerging markets, such as China, Brazil, Russia and India. That’s because, while most of the developed world’s economy continues to falter, consumerism has been passed to emerging regions in the world. This consumer-driven private sector growth will accelerate many emerging countries at a much faster rate than GDP growth, providing a plethora of investment opportunities for investors. 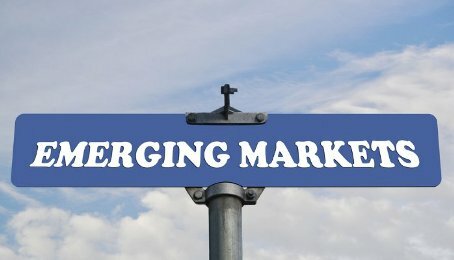 And while these larger emerging markets have proven themselves as valuable assets to an investor’s portfolio, as we enter the new year, it’s time for investors to broaden their scope and begin considering the next emerging market to invest in. So what emerging market will bring the best investment opportunities in 2015? It’s Africa. While we realize Africa is not one market, overall the continent and the various 53 countries within it, all bring some promising investment opportunities for investors. And while much of the continent still faces numerous challenges, Africa is likely to remain a solid emerging market for investment opportunities for the next five to ten years. Individual African markets still remain relatively small in comparison to the larger emerging markets making up the BRICs (Brazil, Russia, India and China), but when aggregated, Africa’s GDP as a whole grew by 31% on a PPP basis since 2008, ahead of Brazil (22%) and Russia (13%). Additionally, Africa is expected to grow by 42% from 2015 to 2018, which is only slightly behind India’s projected growth for the same period (49%). And when it comes to returns, while the African listed equity markets certainly face challenges, the continent is still showing strong returns over the past three years. South Africa’s Johannesburg Stock Exchange (JSE) in particular, has been ranked number one globally in recent years by the World Economic Forum (WEF) Global Competitiveness Report for regulation of securities exchange. And as it makes its move to the international standard of T +3 settlement cycle, it is expected to further strengthen the exchange’s reign as Africa’s leading securities exchange. As these markets within Africa continue to grow and improve, energy and materials will play a significant role in the upcoming years, offering the value that investors are seeking in new investment opportunities within emerging markets. Additionally, certain pockets of investment opportunities within the continent are likely to emerge in industries such as payment systems, logistics, packaging and retail businesses orientated toward lower income consumers. This rapid growth holds the promise that capital in Africa can be channeled towards productive investment within the continent, driving growth and private sector development. Of all the countries within the continent, South Africa and Kenya stand out in their attractiveness for private equity markets. This is due to factors such as their economic growth, depth of capital markets, taxation and investor protections. However, South Africa in particular, remains a clear leader when it comes to upcoming investment opportunities, with its relatively advanced economy, financial institutions and good governance practices. Recently, analysts have stated that private equity funds investing in fast-growing African economies, like South Africa and Kenya, were significantly outperforming established markets and achieving returns on exits comparable to those seen in China and Latin America. Overall, given the trajectory of pension growth and regulatory reform happening across all the countries across the continent, Africa is on the cusp of a profound inflection point. Investors looking for new investment opportunities should make a New Year’s resolution to research these markets and consider investing some time and resources in Africa.